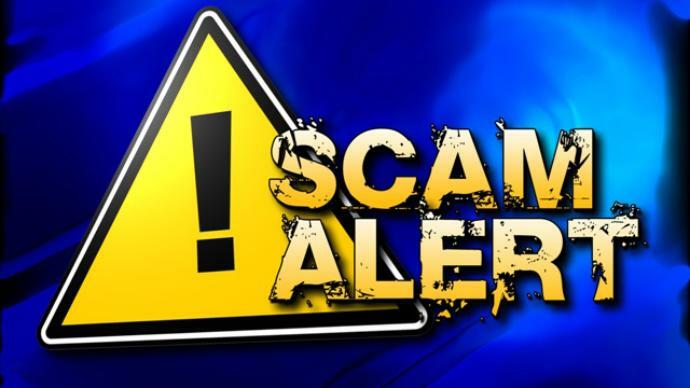 According to an Edgefield County Sheriff’s Office report, an Edgefield County man and his wife have apparently fallen prey to an internet pet scam. On March 26, the ECSO was informed by the pair that they had purchased a chocolate lab from an internet site called Greatretrievers.com for $599. The owner of the company, Kevin Ryan, instructed the two to deposit the money into a Bank of America account named Hope Breeders Foundation. The money was deposited on March 19 after which Kevin informed the couple that the transaction was complete and the dog would be shipped free of charge. However, the pair was later contacted by Royal Paws Pet Transportation informing them that it would cost an additional $800 to ship the dog. When the couple informed the company of the free shipping agreement, the company responded by saying that paperwork had not been completed, and the money would need to be sent in order for the dog to be shipped. The couple has since tried to contact Kevin Ryan, but he is no longer returning their phone calls or emails. Additionally, his website address can no longer be found. A boat and trailer were reported stolen to the Edgefield County Sheriff’s Office, March 27, from a residence on Egghouse Road in Johnston. According to the ECSO report, the boat was attached to a trailer that was parked at the rear of the home. The boat and trailer were taken between the hours of 7:00 p.m. on March 26 and 7:00 p.m. on March 27. The boat is described as a 14’ green 2008 Alumacraft John Boat. It has one camouflage seat, a dent about midway on the left top rail, and no motor. The trailer is described as being a 6’ x 12’ homemade trailer with wooden sides and a double wooden floor. It has a wench on the left rear side rail which also holds up the back ramp to the trailer. It has white rims with new tires and a double A-frame tongue. The boat and trailer are together valued at approximately $3600. One Response to "Citizens Fall Prey to Internet Pet Scam"